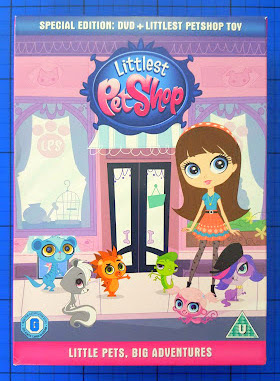 Littlest Pet Shop: Little Pets, Big Adventures is a brand new release from Hasbro and will be available to buy in the shops and on digital download from 3rd August. U rated and suitable for everyone, it contains 7 episodes where we meet the star Blythe, and her Dad, as well as all of the pets who hang out in the shop. 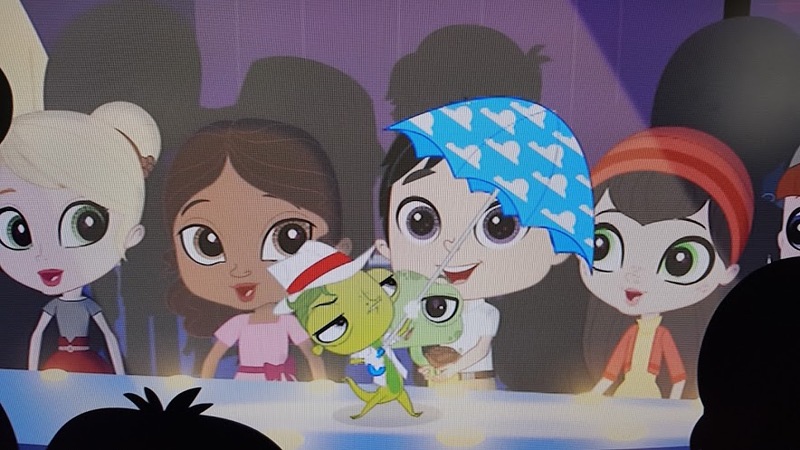 The Littlest Pet Shop is a concept that my boys are aware of, but a show that's new to us. My boys hadn't seen it at all before our review DVD arrived. My first impression was that it's more 'girly' than I expected, but although the main character is a young teenage girl, the storyline is something all children can appreciate. We were lucky that our DVD came with a free Littlest Pet Shop toy - we got Bunny Ross. The toys can be used with an app. 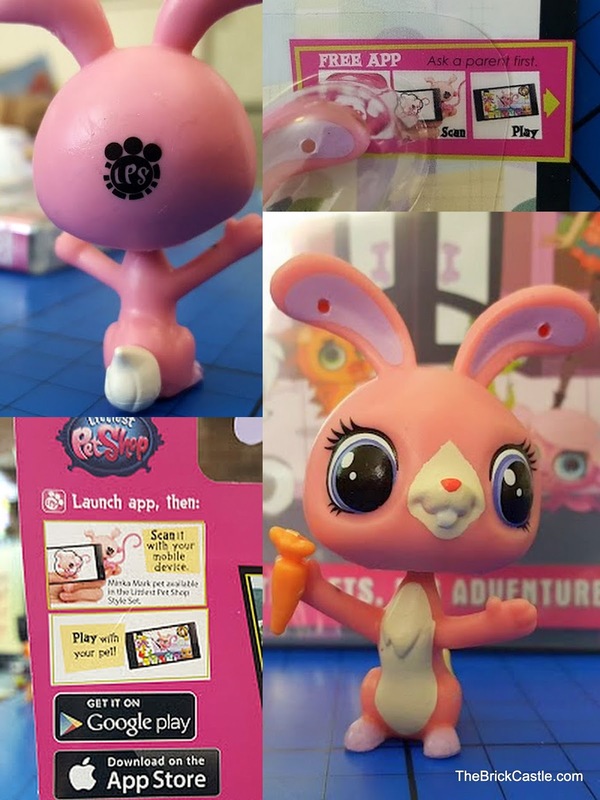 and appear in online games on the Littlest Pet Shop website - but there's plenty to do there even with no associated toys. The littlest Pet Shop has an eccentric owner, and a robot manager who was particularly popular with my lads. Blythe has a special skill - she can talk to the animals - and she helps them to save the Pet Shop from closing down. Littlest Pet Shop is full of song, and the animation is quite stylised and more 'grown up' than a lot of children's shows. The storylines are really easy to follow though, and always focus on the pets in the shop. My 5 and 6 year olds really enjoyed it. 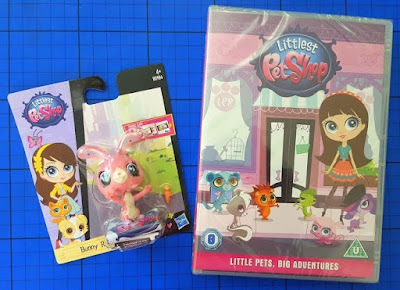 Hasbro kindly offered a copy of The Littlest Pet Shop: Little Pets, Big Adventures for one of my readers. The giveaway ended at midnight Sunday 30th August. I would love a llama! I'd have a pink and purple giraffe! I'd love a rainbow coloured penguin! My crazy pet would be a cat that could chat with me in words as well as chirrups. Mine would be a little glow in the dark bat. A pink fluffy long haired cat. A green Tapir with pink polka dots!